Finance Magnates' London Summit 2015- What to expect? Finance Magnates’ London Summit 2015 – What to Expect? Finance Magnates London Summit starts today and below infographic reveals the impressive attendance statistics that increased by 133% and represents people from 57 countries. In only four years, this event has become one of the most important in the industry, and as such, has been attracting an increasingly large number of industry figures from all over the world. This growth clearly can be seen in the numbers, displayed in the meticulous infographic. The Summit will be filled with CEOs, COOs, directors, managing founders of fintech, banking, retail and institutional brokerage firms.. the list of roles and industry segments is diverse and long. to put it another way, one in four people at the Summit will be C-level management! Many of these key people, along with some star guests, will be giving keynote speeches and taking part in panels. You will also meet C-level attendees at our opening party, networking blitz, fintech spotlight and the Finance Magnates Awards ceremony. Moreover, the growth-rate of companies choosing to exhibit their products at the Summit exceeds the growth in simple footfall. This means that more and more businesses are realising the invaluable opportunity presented here; an event where they can talk to/sell to/compare notes with the crème de la crème of all segments of the trading industry. The representatives of 482 companies, from 57 different countries, will be at the London Summit today. 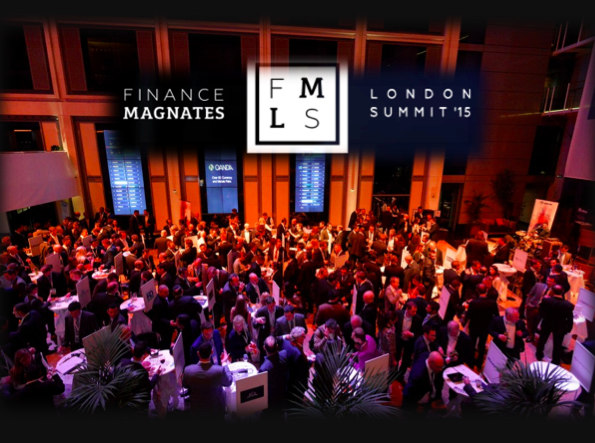 Finance Magnates’ London Summit 2015 will take place on November 2-3, 2015 at the Brewery on Chiswell Street.